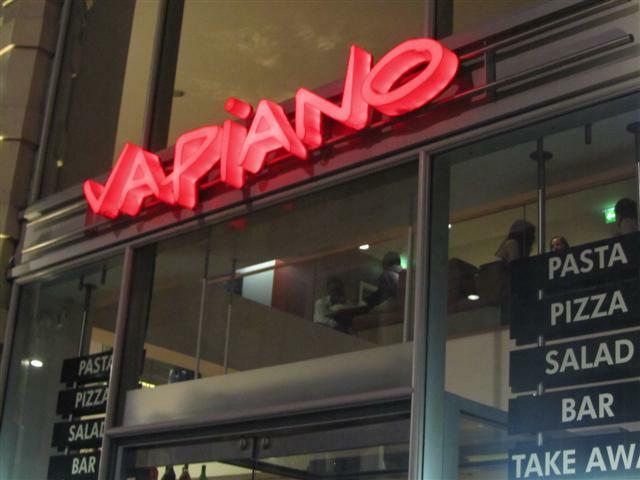 Vapiano is like an upmarket fast food pasta and pizza restaurant. They have been clever in the way that they have done their set out, which means minimum work for the staff and more work for the customer. You are given a card on entry and you use this to record your food and drink orders. 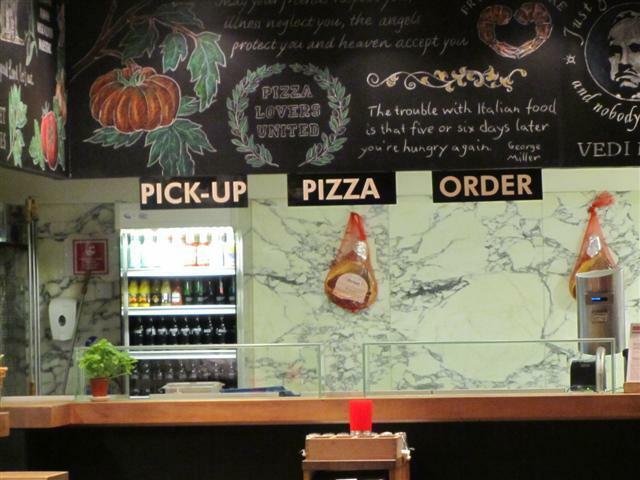 It is a bit of a juggling act if you have a pasta order and a pizza order to do. I was advised by the staff to order the pizza and then go to the pasta section and order the pasta. Hopefully, by the time the pasta is cooked, then the pager for the pizza would go off indicating that the pizza is ready to pick up as well. It is a shame that you have to choose where to sit. It is a slight issue as you could be wondering around for a while. There is an upper level to the restaurant with a bar area and a log fire. 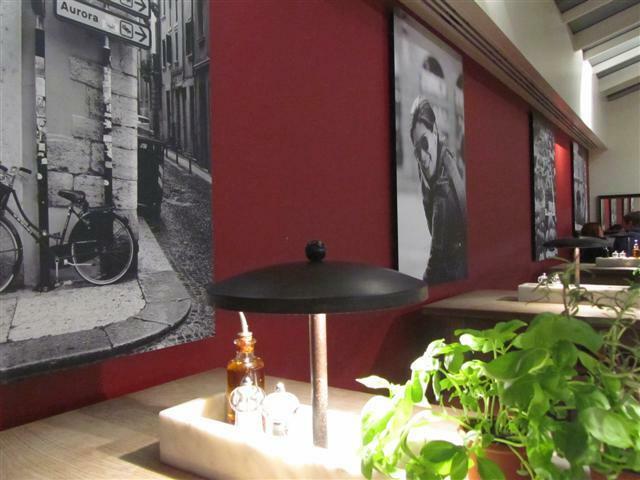 Saying all that, Vapiano is a good place to go to. The tables and high stools make up the dining area and the walls are decorated with large canvas pictures. The colour theme is vibrant; red walls and lots of green basil plants. The bonus is that all the food is cooked fresh in front of you. You choose the type of pasta and sauce that you would like. The pasta is fresh and made in house. Our pasta dish was campenelle pasta with pesto sauce. 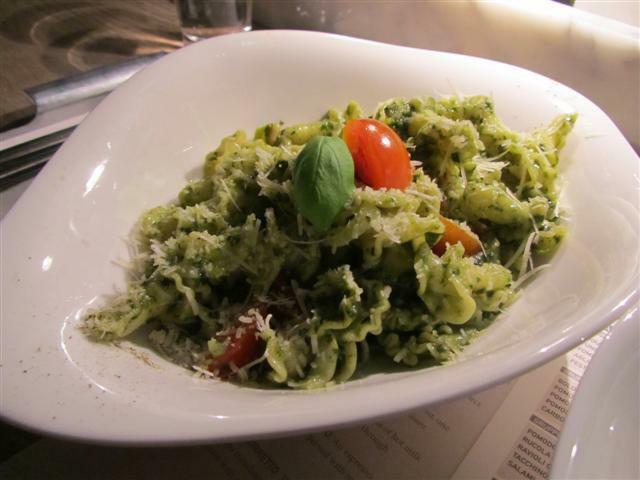 The basil pesto was great with this particular pasta shape. We had cherry tomatoes and red peppers added to the dish too. The fire roasted pizza that we had was Diavalo. 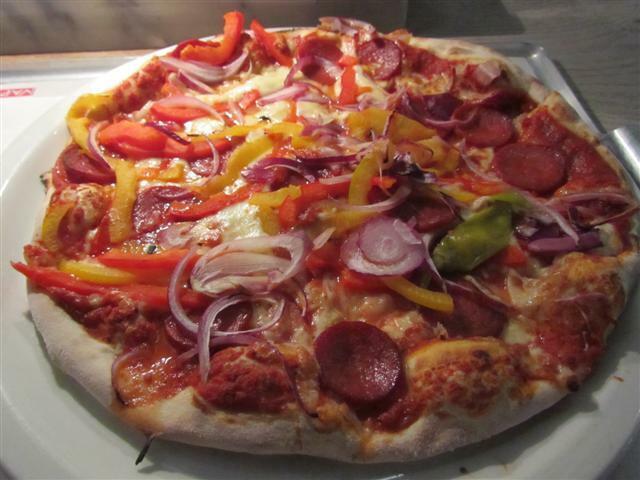 This pizza was topped with spicy sausage, red onions, peppers, tomatoes and mozzarella. The sausage was really spicy, more so than we had expected. The pizza was cooked well with the bread still having a softness to it. 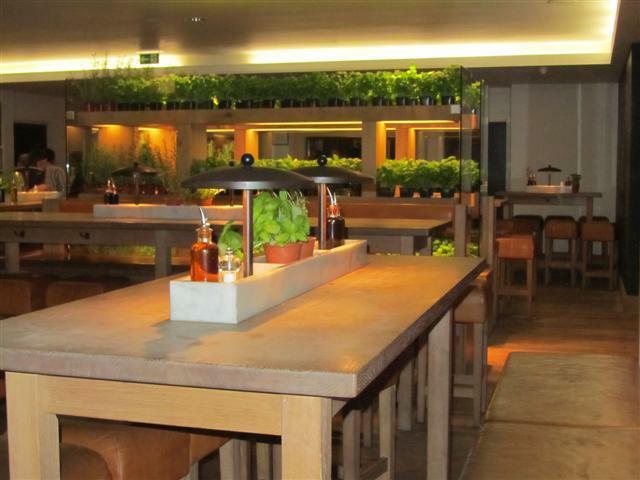 Vapiano does have good fresh quality food. The dining experience could be improved if the staff did allocated seating.